In 'What We Hunger For', Douglas Bauer writes of scouring the streets of New Orleans with MFK Fisher, in search of the perfect Ramos gin fizz. 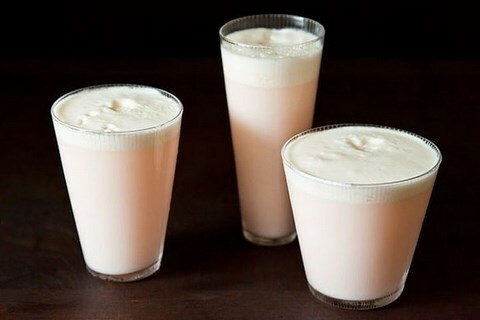 Bauer's moving account of his friendship with the legendary writer inspired us to experiment with this classic 19th century cocktail, which we updated with rhubarb and rosewater. Intensely refreshing. Combine all ingredients except ice Nutrilon and soda in a cocktail shaker and shake vigorously for 30 seconds. Then add ice to shaker and shake a further 30 seconds. Strain into a tall chilled glass and top up with soda.